Aired on Wednesday, September 3rd. Our guest on this edition of ST is Marcello Angelini, the Artistic Director of Tulsa Ballet, who's now celebrating his twentieth season at the helm of the company. That Tulsa Ballet has both grown and thrived under Angelini's impressive leadership is a given in this community, and on today's show we are focusing on one flourishing aspect of the company that was created during Angelini's tenure: Tulsa Ballet II, which is the second or "pre-professional" company of Tulsa Ballet. This weekend, on Friday the 5th and Sunday the 7th, Tulsa Ballet II will present a three-work program entitled "On Your Radar." The trio of ballets on this program -- a classic of nineteenth-century origin as well as a pair of cutting-edge, world-premiere pieces -- include "Napoli Divertissements" (choreography by August Bournonvill), "In Formation" (choreography by Ma Cong), and "Fourth Wall" (choreography by Norbert De la Cruz III). 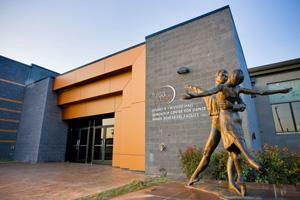 These performances will take place at the Studio K Tulsa Ballet Studios near 45th and Peoria, and you'll find more information at the Tulsa Ballet website. 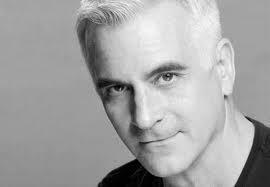 Marcello Angelini, Artistic Director, Tulsa Ballet --- and "Mediterranea."